Chethan Jayaramu, Graduate from Light & Life Academy, Ooty. An ardent photographer from Bangalore. His Journey in short- from marketing to professional photographer. 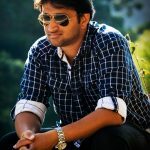 Bought a DSLR to capture memories, got hooked to photography, was restless to take it up as a profession, joined Light & Life Academy, and now he is a professional photographer. ​ As a connoisseur of food himself, taking up food photography was like a perfect match. The architecture and history of India has always mesmerized him, capturing those picturesque architecture had always been a dream. With his specialization its a dream come true. ​ He specializes in Architecture, Food, Product, Travel & Underwater Photography.